YOU MUST Drink Carrot Juice Daily with Red Onion. 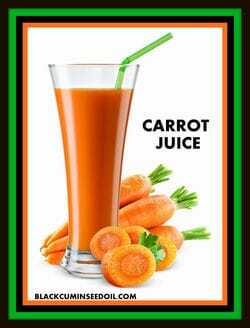 Just made my carrot juice. This is a 1000ml jar, so you can get the correct ideal. In the juice I have 8 carrots, 2 cucumbers, 1/2 Granny Smith Apple, large handful of Romaine lettuce, a few stalks of celery, 1/2 lime and 1 small red onion (required). I juiced it all and put it in a jar and stored it in the freezer for around an hour to get ice cold. It is easier to drink this way. You can use any veggies you like and beets and broccoli are wonderful. You can also have fennel, cauliflower, sweet peppers or basically any veggie you have available. Iceberg lettuce has no value whatsoever.